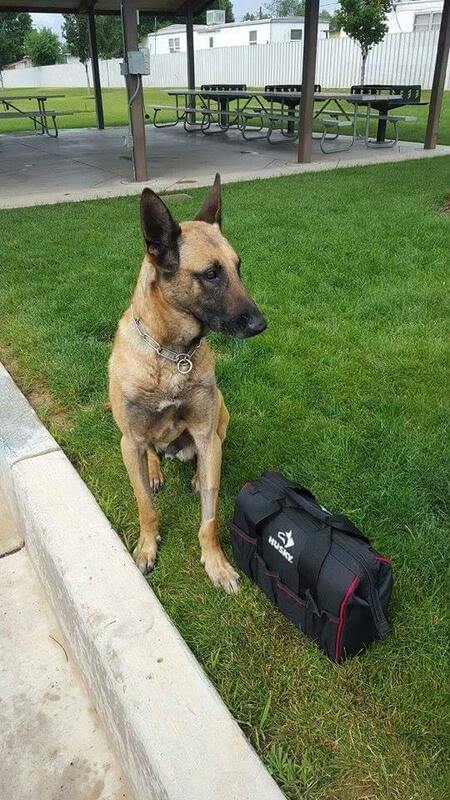 CEDAR CITY – The Cedar City Police Department and community are mourning the unexpected passing of police K-9 Pajko as they remember his service throughout the community. Pajko was discovered dead Wednesday morning by his handler, Officer Jason Thomas, a little more than a month after he underwent emergency surgery for a twist in his stomach. 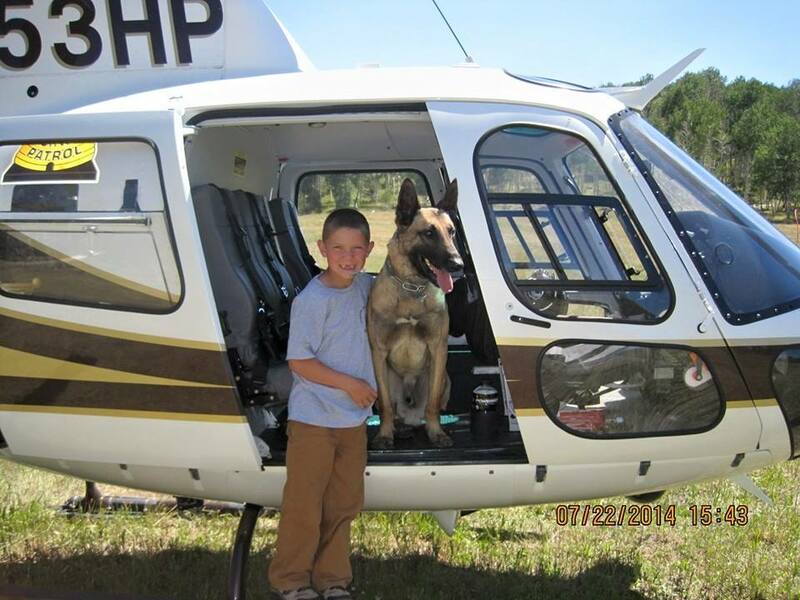 Five-year-old Pajko served with the Cedar City Police Department alongside Thomas for more than two years. During that time, Pajko was responsible for the apprehension of many criminals and is credited with finding tens of thousands of dollars’ worth of drugs, according to the Police Department. In 2013, Pajko seriously injured his neck and upper back while apprehending a suspect armed with a handgun. 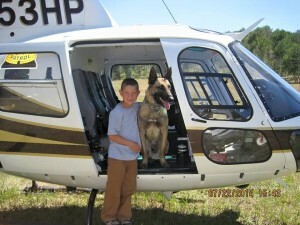 “Jason nursed him through that – got him back certified again, working again,” Cedar City Police Chief Bob Allinson said. All seemed to be well with Pajko until July, when Thomas learned Pajko was suffering from a twisted stomach. I looked outside this morning and could see that something was wrong. I started calling local vets but nobody would answer. I found a 24 hr hospital in St George so I headed there. As I suspected we found that he had twisted his stomach which in most cases is fatal. We knew there were concerns with that surgery, Allinson said, but all indications were that he was healing great and doing well. By July 19, Pajko was two weeks out of his surgery and was able to have his staples removed. “They just got him back into training mode again not too long after that … and then Jason found him deceased this morning,” Allinson announced Wednesday. With great sorrow I announce the passing of K9 Pajko. This dog saved me several times while we worked together. He took lots of (bad) guys off the streets and his nose (helped) find lots of illegal narcotics. He protected the Cedar City citizens with true courage and honor. Pajko never hesitated to go into danger then turn around and go to a school event and put on a demonstration. I always trusted him. He’ll be missed tremendously. Pajko’s passing came several hours before a couple who had donated money to pay for the dog’s medical bills were to be formally honored at a Cedar City Council meeting. The Friends of Iron County Police K9 group had planned to attend the City Council meeting Wednesday evening to recognize and honor Dennis and June Schnarr, who stepped up to pay $2,500 for Pajko’s medical bills. The coins are typically reserved for officers who go above and beyond the call of duty, Allinson said; but every so often, the department awards one to a community member who has made an impact on community law enforcement in a tremendous and positive way. The couple was able to donate funds through The Friends of Iron County Police K9 which was formed about 4 years ago to raise funds for police K-9 expenses. 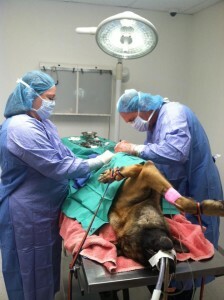 Prior to the program, the responsibility of the retired police K-9s’ medical expenses and upkeep fell back on the handler. Find out more about how you can donate to The Friends of Iron County Police K9, here.